Victory to the Egyptian revolution ! President Barack Obama, Prime Minister David Cameron, Vice-President Joe Biden and Secretary of State Hillary Clinton have revealed the true face of so-called ‘Western imperialism’ over the past couple of days – not so much diabolical or machiavellian, but small minded and wishy-washy. 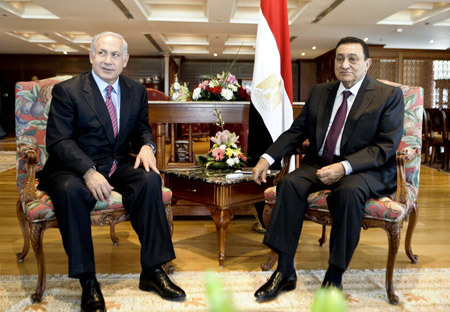 It should be obvious to all that Egyptian President Hosni Mubarak is finished, and that even if he succeeds somehow in retaining power, he is too discredited and too clearly rejected and despised by his own people to serve any further purpose as a supposed ‘ally’ of the West. Why, then, the unwillingness to solidarise with the Egyptian people who have taken to the streets to overthrow him; why the reluctance to ask him to step down ? They may be afraid of what will come after; they should rather be afraid of how a democratic Egypt, if it emerges, will remember the West’s failure to support its establishment. 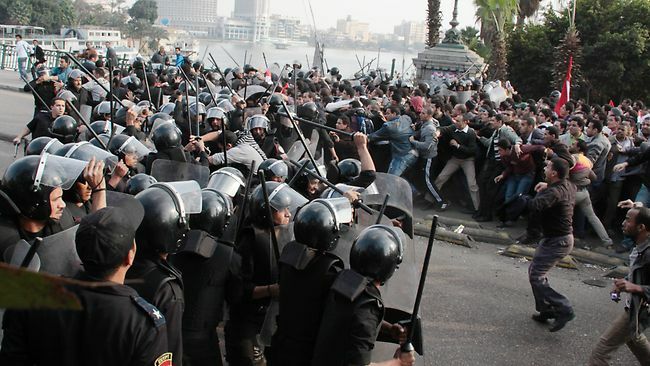 To talk of ‘reform’ in Egypt today is a case of shutting the stable door after the horse has bolted. It’s a bit late for that now; Western leaders would do better to show that they are on the side of the Egyptian people in their struggle against tyranny. The Arab world and the Middle East have long presented a sorry story of dictatorship, political backwardness and religious extremism. Now, finally, something is occurring in the political sphere about which Arabs, Muslims and others in the region can justly feel proud. In the Egyptian popular revolt to overthrow the Mubarak dictatorship, a kind of politics is being born that can inspire those in the region who have so long been lacking in positive sources of inspiration. The idea that we should withhold our full solidarity with the Egyptian protesters because we can’t imagine anything better than a corrupt and discredited despot is, quite frankly, disgraceful and embarrassing. 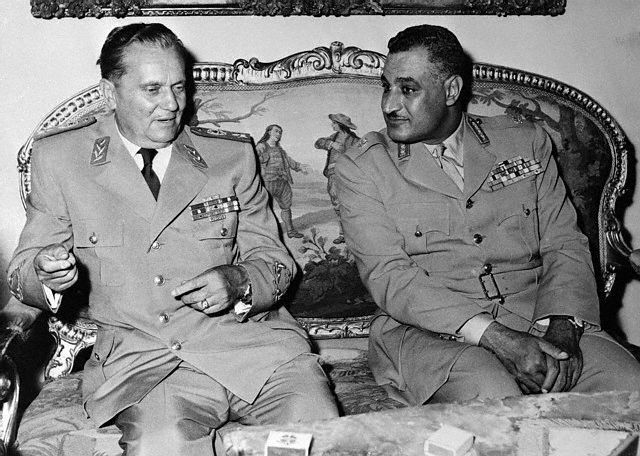 Mubarak and his fellow pro-Western dictators are not the alternative to the Muslim Brotherhood and other Islamists; rather, the dictators and the Islamists are two sides of the same coin, feeding off and rejuvenating one another. The status quo is not the safe option; it is the source of the Islamist menace that has produced al-Qaeda and 9/11. Undemocratic Egypt has been a particular incubator of Islamic extremism; the system produced Osama bin Laden’s deputy Ayman al-Zawahiri. We shouldn’t be afraid of what may come after Mubarak; we should be afraid of the status quo continuing. Of course, it is not exactly unknown for revolutions to go very badly wrong, and the example of the Iranian Revolution is understandably in the minds of many. The overthrow of the Shah might not have resulted in quite such a disaster if the US had not backed his tyranny to the last and trampled all over Iran like a colonial master. Even an Iranian Baha’i professor I once studied under, who hated the Ayatollah Khomenei’s regime as much as anyone, told our class how he agreed with Khomenei’s famous pre-revolutionary complaint: ‘If someone runs over a dog belonging to an American, he will be prosecuted. Even if the Shah himself were to run over a dog belonging to an American, he would be prosecuted. But if an American cook runs over the Shah, or the marja’ of Iran, or the highest official, no one will have the right to object.’ If we now alienate the Egyptian people, we will have only ourselves to blame if a post-Mubarak government is less than well-disposed toward us. Rather than being paralysed by fear, we should anticipate what the democratic transformation in Egypt could mean. It could mean that a regime that has been generating Islamist terrorism will be replaced by one that will act as a catalyst for democratic transformation throughout the Arab world and the Middle East. It could mean a decisive shift in the balance between democracy and dictatorship within the Muslim world globally. Of course, this is not pre-ordained, and things could go very badly wrong in Egypt. But let us in the West keep our eyes on the prize, and do everything we can to assist our Egyptian sisters and brothers in their struggle against tyranny. 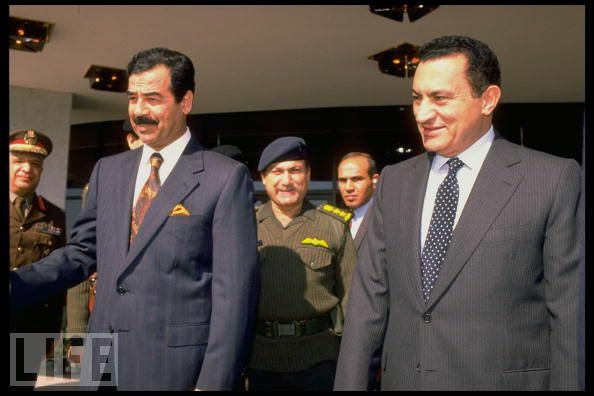 Obama and Cameron should begin by telling Mubarak that it’s time to go. 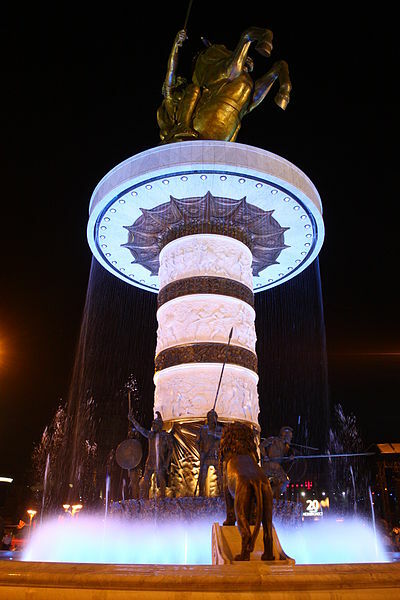 Let the tyrants tremble – victory to the Egyptian revolution !